A token of my appreciation for all of you. Thank you for being there when I needed you and making me a part of your lives in some small way. I'm humbled by your comments, cheers and hugs. You guys are the best. NYC. My lucky charm and ace in the hole. 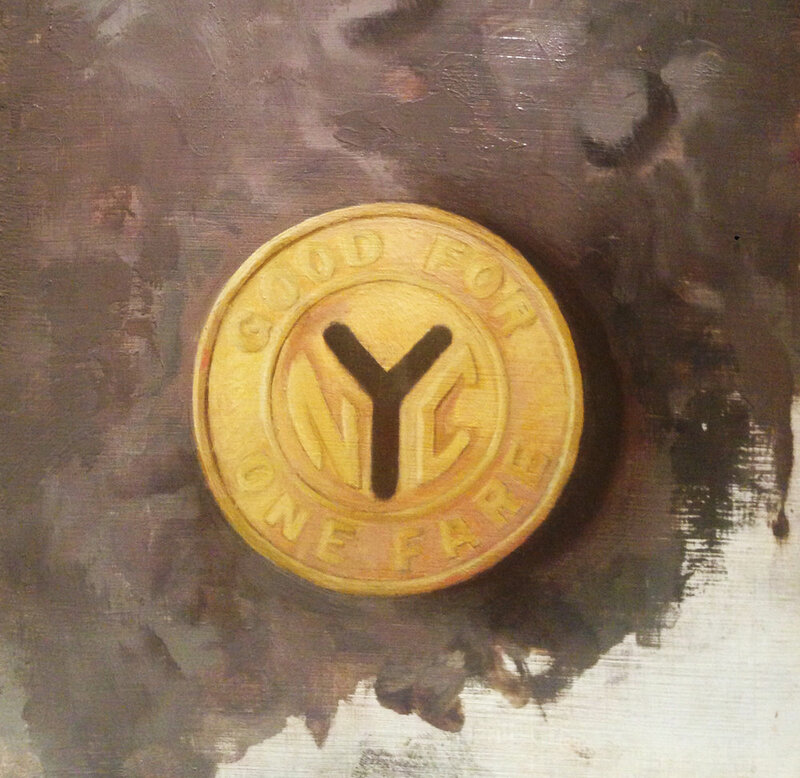 An old school subway token pulled from a wonderful assemblage piece made by my friend Joshua White back when we traded art work and inspirations. Took it out front and set it down on the asphalt in the sun to take a pic. In all honesty, I'm totally going back into it tomorrow and didn't get finished today even though I've been at it all day. I'm a native New Yorker and ya can't blame me for wanting to get it just right.